Family and friends will love gathering around this stunning addition to your outdoor décor. This 5-burner grill is made in the USA with features you won’t find on competitively priced models. Available in a freestanding or built-in format, the 501 Series offers the best combination of style, power and value. Enough room to grill 36 burgers at once* — With this much room, you can sear steaks on one side of the grill while grilling vegetables at low temps on the other side. Perfect for family gatherings or parties! *Based on approximately 4″ diameter patties. The power to cook a greater variety of foods — With a BTU range of up to 102,500, you can achieve the results you want for any kind of food, from seared sirloin to tenderly grilled vegetables. 104 BTUs per sq. in. 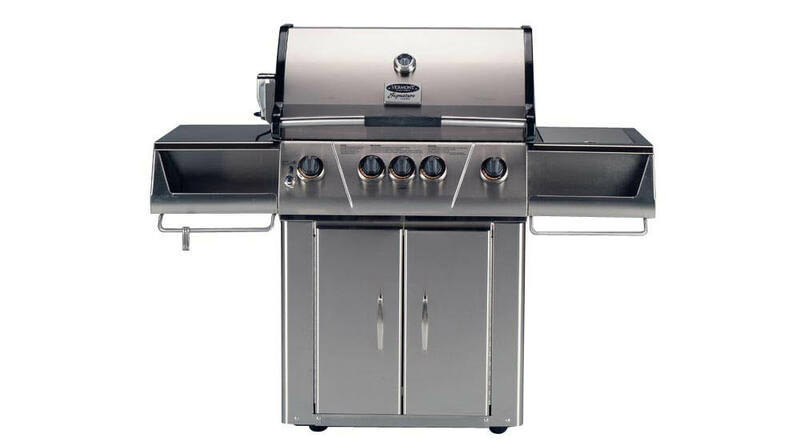 Precision control, year round — At 104 BTUs per square inch, the 501 Series offers the ideal rate of power for the most even and precise grilling. The grill will heat faster and you’ll have more precise control, — even in colder climates! Stovetop cooking right at the grill — Reduce trips to and from the kitchen and cook everything right at the grill. Easy to grill, day or night — With light-up control knobs and an included LED flex light, these Signature Series grills make it easy to entertain outdoors in the evening. Power that accommodates your cooking needs — Whether you’re serving up burgers for a crowd or a nice steak dinner for two, you’ll have enough power to cater to your every need. 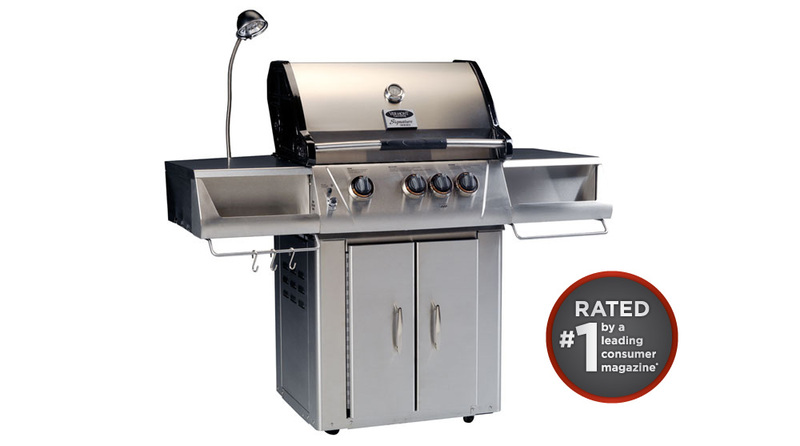 Precision control, year round — At 110 BTUs per square inch, the 401 Series offers an optimal rate of power for the most even and precise grilling. The grill will heat faster and you’ll have more precise control, — even in colder climates! 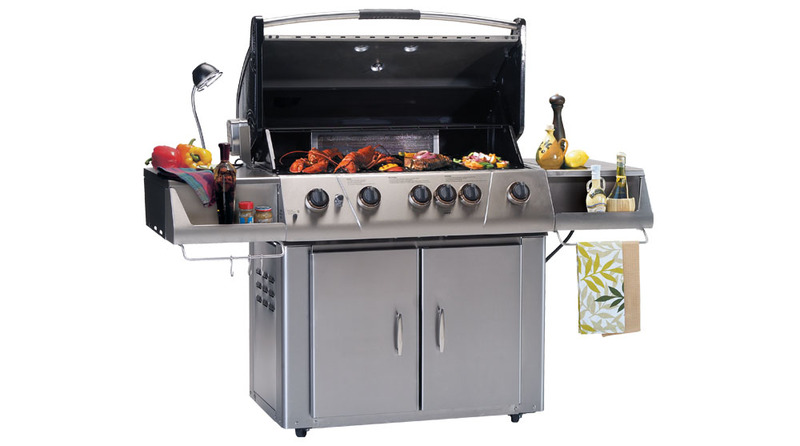 *Based on 2010 mid-size grill category, 300 Series. Premium convenience features — Keep your tools and ingredients right at hand with these attractive built-in accessories. Each one is made of 304 True Stainless Steel, offering beauty and durability in one convenient package.